It has been another gloomy day over Greater Lafayette. Skies are overcast this midday and temperatures are struggling to rise because of the cloud cover over the area. Patchy fog and drizzle will still be possible through the lunch hour. It has been another gloomy day over Greater Lafayette. Skies are overcast this midday and temperatures are struggling to rise because of the cloud cover over the area. Patchy fog and drizzle will still be possible through the lunch hour, however, the drizzle will likely dissipate this afternoon. The region will remain cloudy during the afternoon with a light wind shifting out of the south. 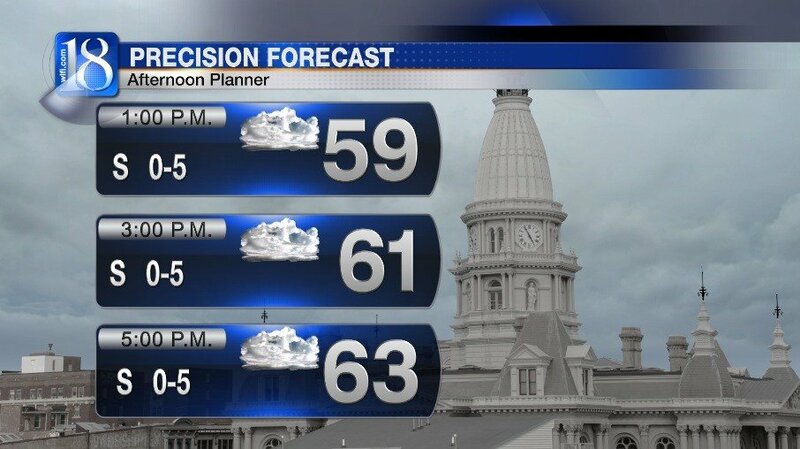 Highs will climb into the lower 60s later today. Weather is not going to change too much tonight with areas of fog developing again for the morning commute. 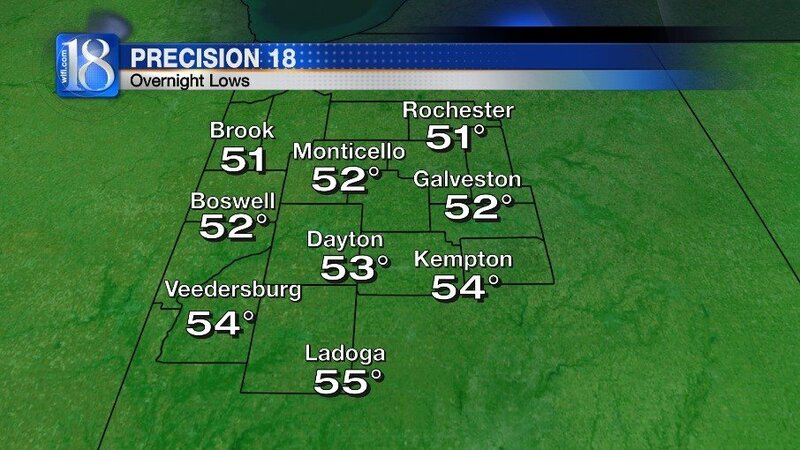 Lows will drop back into the lower 50s tonight under a mainly cloudy sky. There may be a few breaks in the cloud cover during the overnight period. 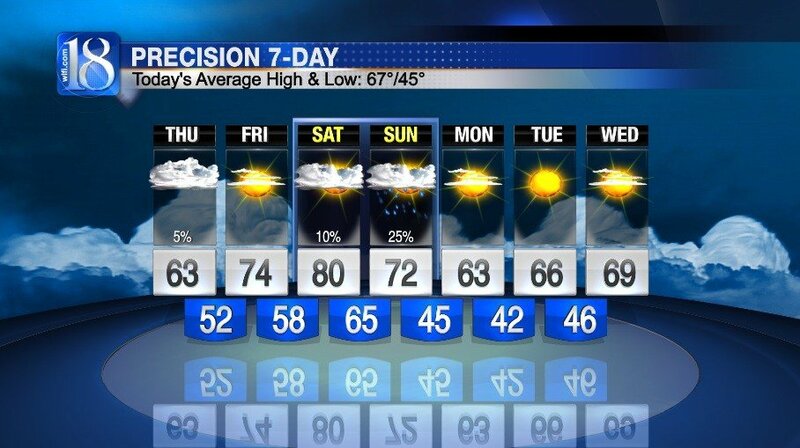 We are tracking a big change in the weather pattern as we end the work week. 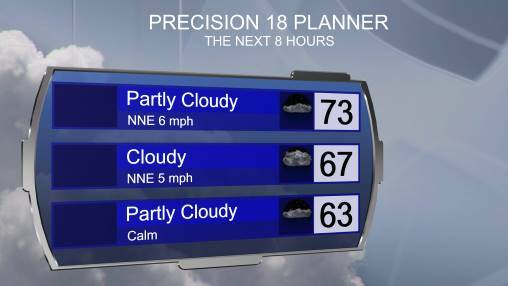 Cloud cover will decrease tomorrow morning and the sky will become mostly sunny by the afternoon. The sunshine and southerly winds will help temperatures reach into the mid-70s, creating comfortable weather by Friday afternoon. 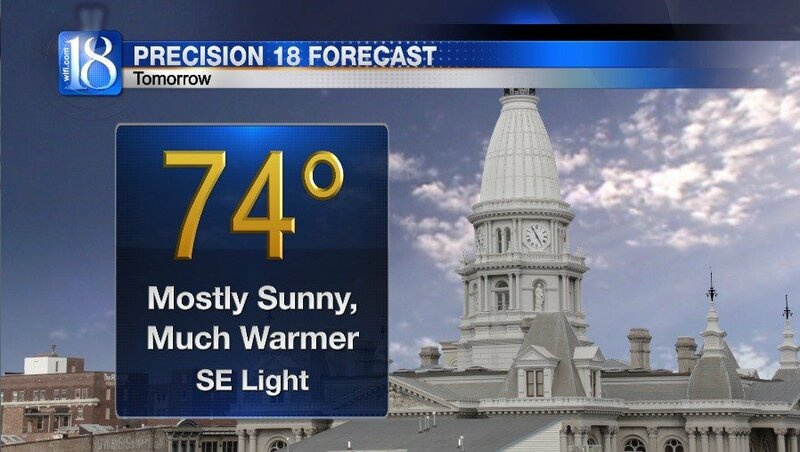 The warming trend will continue into the weekend with highs in the lower 80s returning to Greater Lafayette. You will notice more clouds moving into the area with our next system approaching Indiana. 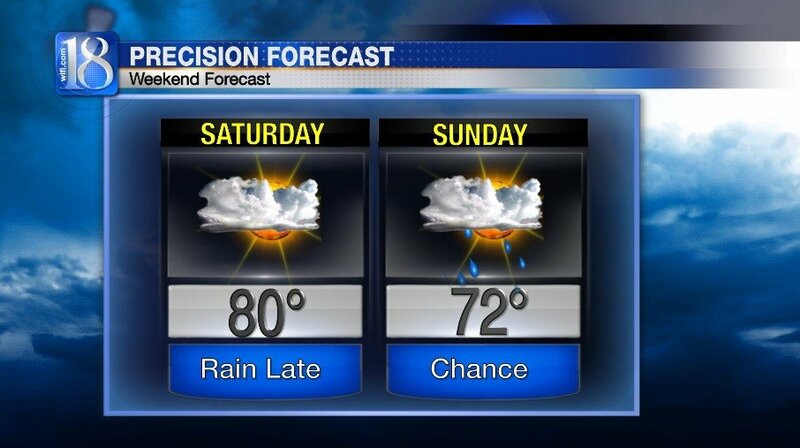 Rain chances will likely hold off until Saturday night. Scattered showers and a few thunderstorms will be possible on Sunday as a cold front travels over the state. 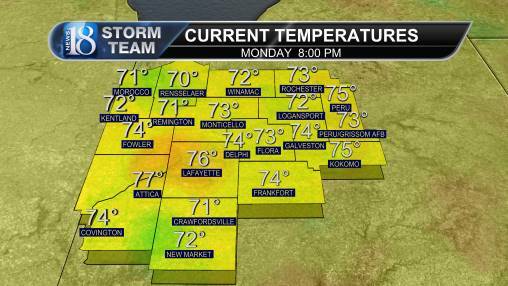 As a result, temperatures will begin to fall on Sunday and drop into the lower 60s Monday afternoon. Overnight lows early next week will plummet into the lower 40s due to clearing skies and cooler temperatures. Light frost may even form in isolated locations early next week.